Robby's House i Napoli, Italia: Bestill nå! 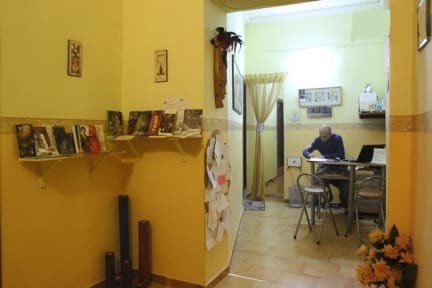 In between the caracteristic narrow streets of the historycal center “ Robby’s house B&B “ is a confortable GuesHouse / bed&breakfast in the historycal center Naples, ten minutes walking from the main railroad station, the ideal lowbudget place where to stay to visit the town. We are close to the main museums and monuments in town, most of them at a walking distance. Continental breakfast is included in the price. 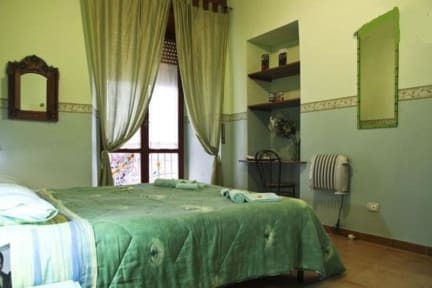 We have single , double and triple rooms .Our rooms has no private bathroom and shower but shared bathrooms . We have a total of 5 rooms and 2 bathrooms with shower. By the reception there’s available maps, turistic informations and English speaking staff. No corfue, our guests goes in and out as much as they want at any time. Feel free to ask more informations about rooms, prices, and how to reach us.